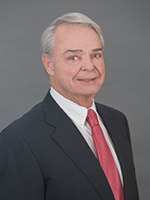 Thomas West, Senior Vice President of Office Services has been with Cushman & Wakefield | CRESCO Real Estate since 2004 and in the real estate industry for over thirty-two (32) years. Outstanding pursuit of solutions to client problems, a willingness to work tirelessly for clients, academic achievements, vast technical and business experience as well as strong analytical skills are evidenced in Tom’s accomplishments. Tom has served as President of the Northern Ohio Chapter of NAIOP and as Chair of the Commercial Council at CABOR. He was a member of CABOR’s Grievance Committee and chaired the prestigious Society of Industrial Realtors (SIOR) Grievance and Professional Standards Committee in 1998. From 2003 through 2009 Tom was an active advisor to the Professional Standards Committee. Tom has contributed significantly to the drafting and adoption of a new and more stringent Code of Ethics for SIORs worldwide. Tom is active in the movement toward green and sustainable buildings. He is fully engaged with the Green Building Coalition and serves on the board of the Northeast Ohio Chapter of USGBC. He was selected President of the Regional Leadership Team in 2016 and continues in that role. 600 W. Resource Dr. 600 W. Resource Dr. MILES POINTE 4945 Miles Pointe Pkwy. Cambridge Square 8251 Mayfield Rd. MILES POINTE 4925 Miles Pointe Pkwy.